According to the Bureau of Labor Statistics, the job outlook for dental hygienists is projected to grow 20 percent between 2016 and 2026 — much faster than the average outlook for other careers. Dentists are always looking for talented, reliable hygienists, and they strive to make their offices a pleasant working environment for staff. What are hygienists looking for? Good pay, a pleasant working atmosphere — and safety. Make sure hygienists stand at least six feet away from X-rays. In most cases, they should be standing behind a lead wall during the procedure. If that is not possible, they should stand as far away from the X-ray tube as they can. Doubling the distance from the source of radiation reduces exposure by as much as 25 percent. Take extra precautions for pregnant employees. Ionizing radiation can be very harmful to an unborn child; therefore, offices should provide alternative working scenarios if a pregnant hygienist doesn’t feel comfortable administering X-rays. Buy a personal dosimetry badge for every staff member who may be exposed to radiation. Even though the amount of radiation exposure is minimal compared to other industries, it can add up over time. Personal digital dosimetry badges allow hygienists and staff to know their health and welfare are important. Unlike film badges, which must be collected, processed and distributed every few months, the Instadose+ TM smart dosimeter offers on-demand access via a computer or mobile device, to radiation dose exposure levels. 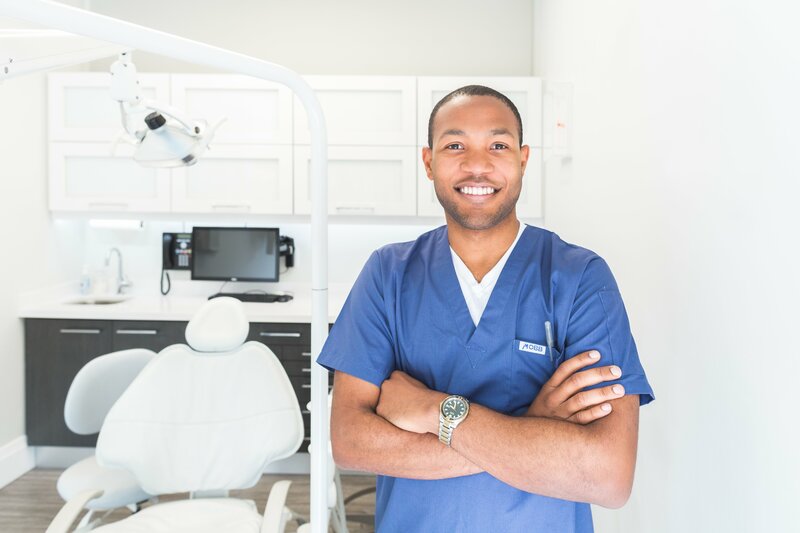 Being known as the dental office that cares about its employees’ safety, will attract talented staff — which ultimately benefits both the dental practice and its patients.